TheAngrySpark: E3: Death comes on a... Dark Horse? One of THQ's most promising properties (that the flailing company has left) is DarkSiders. Now, with DarkSiders 2 on the way this August, Dark Horse comics has a prequel story ready starring the main (horse)man himself- Death. Delving into the days before the Apocalypse, Darksiders® II: Death’s Door is a pivotal contribution to the world of the anticipated new game. Created in collaboration with THQ’s Vigil GamesTM, the studio co-founded by Joe Madureira, this original story follows Death, one of the Four Horsemen of the Apocalypse, on a mission to destroy a rogue demon. Chasing the creature across magical realms and even through time, Death’s quest takes him on a heart-pounding adventure that reveals some of the greatest mysteries of the games! Written by Andrew Kreisberg (Batman Confidential, Green Arrow and Black Canary, FOX’s Fringe) and drawn by Roger Robinson (Batman: Arkham City, Azrael), Darksiders® II: Death’s Door reveals essential secrets from the world of the upcoming game. The online-only book will be available try-weekly at darkhorsedigital.com or through the publisher's iOS/Android App. 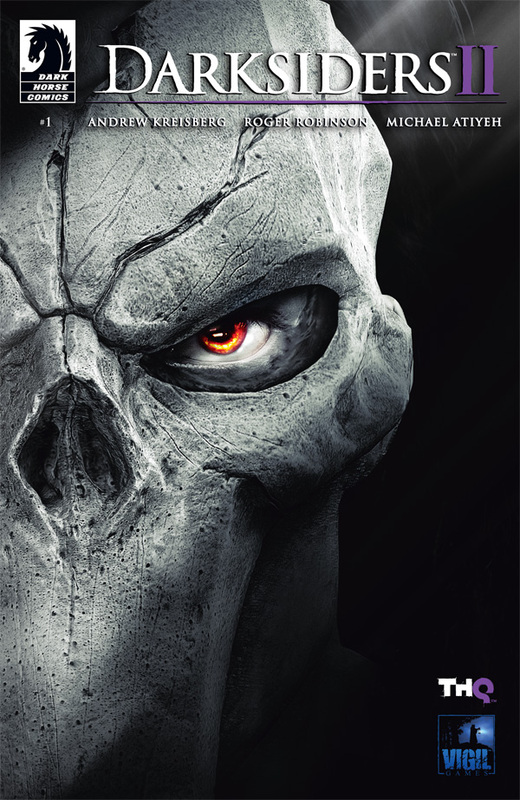 DarkSiders II: Death's Door #1 rings in Independence Day this July 4th for .99 cents.